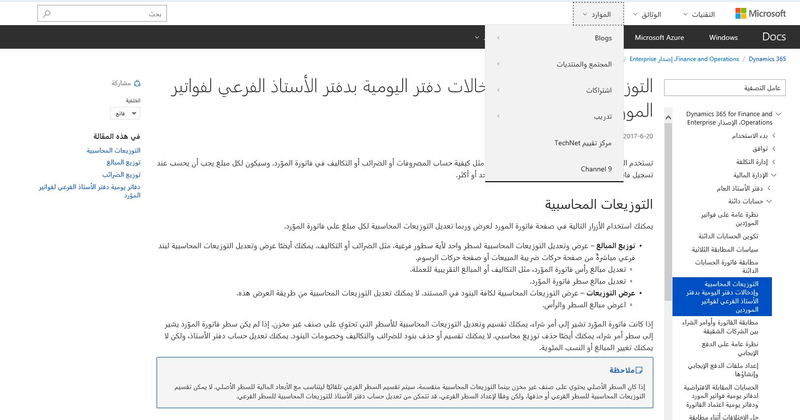 We are happy to announce the release of new international features on docs.microsoft.com. The new features are targeting international markets and are meant to improve the international user experience. Our new features include a new and improved locale picker, right-to-left language support and a mouse hover translation display experience. The current language - shown on the top of the page and bolded in the list. A region filter that can be applied through the world map. Search field, through which a language can be found. Once you click to select your new language, you will be taken back to the page you came from with the content localized in the newly selected language. All UI elements follow the right-to-left direction, which is a mirror of the LTR UI. In order to encourage all our international customers to contribute to translation improvement, we are empowering them with the full meaning and context of the content by providing the English equivalent of the translated content, by hovering over the text with the mouse. If the content is machine translated, the feature is on by default, and it is off if the content is human translated. Customers can turn on/off the mouse hover-over feature from the disclaimer on top of the article. We want to hear your feedback on how we can make our international experience better. Visit our UserVoice site or reach out to us on Twitter for quick updates and questions.